Why do they insist of using a certain word so much? 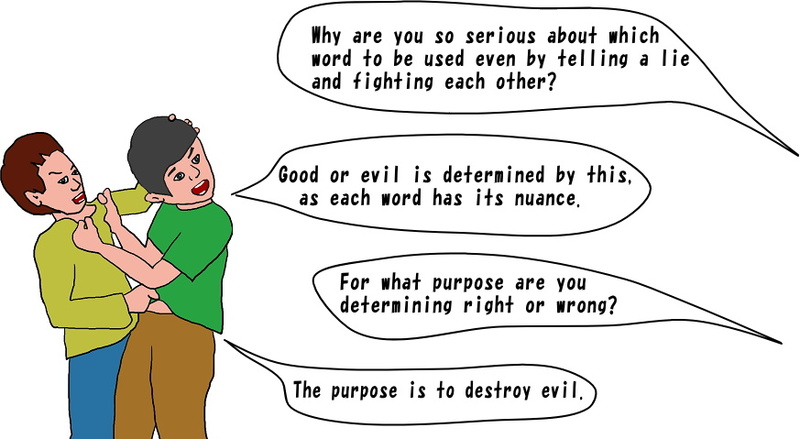 What is the true reason of lies and violence? Let's ask the reason why they insist of using a certain word so much?